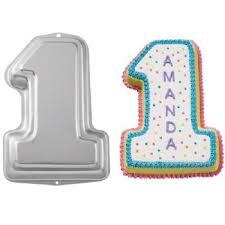 An extensive range for decorating your 1st birthday cakes and making them extra special. We offer a wide range of cake stands, novelty baking tins, candles, cup cake cases and edible cake decorations to make baby's first birthday a special one. Cake is a traditional way to celebrate your baby's first birthday! 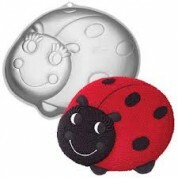 At Babies Babies we offer a wide range of cake stands and baking tins to sugar crafted cake decorations to so that you can make your baby's birthday cake unique and special. Also, why not finish off the cake with some beautiful personalized ribbon that we can print with any message youd like, and obviously you need to finish the cake with some first birthday candles!